Best Offline Music Players For Android, comprises a list of really amazing apps from the google play store that you can use to play your favourite music offline when you don’t have an internet connection. For most people in some countries, this is not a problem for you, internet connection isn’t an issue in your country, but for others out there, it is. That is why we have put up a list of the latest and the Best Offline Music Players For Android. 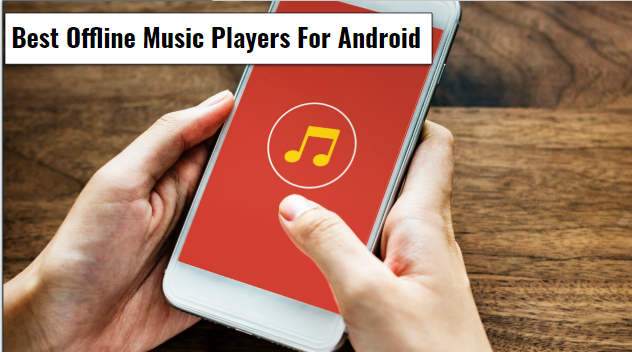 Now, some of the Best Offline Music Players For Android that are available on google play store and on my list as well, are both online and offline music players. Now, when you must have downloaded the music app on your Android device, you will need an internet connection to download your songs from the app for offline use. Once you’re off the internet, you can listen to those songs any time you want without necessarily connecting back to the internet. Regardless of that, some of the other Best Offline Music Players For Android I have on my list don’t need an internet connection to work, they work perfectly, independent of any internet connection. So once you have found those music players on my list of Best Offline Music Players For Android below, click the download link and be ready to go! So let me take you on a quiet ride through my list, are you ready? Now, this is my personal favourite, Deezer is literally the best offline music player in every way. Deezer has a lot of amazing features that stands out and makes the app the best, you can try it out and see for yourself that this music player is no joke. Now, with Deezer as your music player, you can discover I wide range of songs and albums. Songs that you thought were too old to ever be heard of again, you can play those songs online, like streaming videos online and stuffs like that. Now, after enjoying the song online, you can actually download and save the song in the app at a cheaper rate and set the offline mode option, to enable you to listen to the song later. So that is just the amazing thing about Deezer, and to add to that there is literally no song you won’t find on this music player app. With over 100 million downloads, the size of this app varies with different Android devices, so ensure to have a stable internet connection to download from my list of Best Offline Music Players For Android. With Google Play Music, you can listen to as many songs as you want offline. Most Android devices come with Google Play Music, and you can scan your song media and add all your songs to the Google Play Music library for free. So the first time you open Google Play Music app, you definitely don’t need an internet connection. Much later when you’re feeling like exploring the internet to find new cool song releases, you can then turn on your internet connection and stream your favourite songs, or download them, if you don’t have time to stream. You might also need to subscribe to the Google Play Music app on a very comfortable family plan and enjoy and unlimited access to millions and millions of songs online. And don’t forget, you can also save them for offline use. So without the subscription, Google Play Music Player can be used for just a regular Music Player, where you get to play all your downloaded songs via the app. This music player has over 1, 000, 000, 000 downloads, just to show you how popular this Google Play Music Player app is. Basically, you don’t need WiFi or an internet connection to access this app and play songs from it. You cannot also download songs from the web via this app, you can only import songs from your Android devices’ media file and play your songs from this app. This is a colourful music player that has some cool, beautiful themes that you may like, so while listening to your favourite song, do it in style. With this app, features are just amazing, you can create your own playlist and add songs to play in a particular sequence, search for your songs via folders, sort out your songs through a quick search feature. This particular music player works on all Android device from 5.0 and above, but most especially with the new Oreo Android version. This app is just 6.5MB in the installation size. One of Google Play Store No.1 music player, with amazing streaming capabilities. This is not just a music player, but also a music downloader. Download music from the web through this app and save it in the app to be played later. You can also play the songs you download with another amazing feature, this Free Music Player very own equalizer, Yea! this music player came with its own EQ and some bass boost too. Stream songs online, save for offline, personalize your playlist, discover millions of songs from the song catalogue online and listen to them anytime you want, Isn’t that just amazing. This music player is completely free, no subscription required, no payment whatsoever, although contains some in-app purchases and some Ads too. Another cool thing about this music player is that you can view the lyrics of any song you play online and even offline, so there is never a dull moment with this app, just 8.8MB between you and this app. Boomplay is one of that music player among other Best Offline Music Player For Android that has what you want, and you would ask me, ‘what do you I want?’ and I’ll reply, you want a music player that can enable you to download music online, stream the song you want online, unlimited access to billions of songs out there and also play those songs when I go offline, no WiFi required. Isn’t that what you, that is the reason you clicked on this article and that is what I’m prepared to give you. Boomplay goes worldwide, both African and International songs can be found in this music player app. At the online mode, there will be thousands of catalogues of songs and albums that you are yet to listen to, a playlist that has already been created for you, all you got to do is to choose what you like, download it and save for offline use. Without WiFi or any other means of internet connection, Boomplay can work perfectly as your regular music player, you can even import songs from your Android’s music library and listen to your own songs, for just 17MB you can experience the thrill of Boomplay. Musicolet is a unique offline music player that really doesn’t support internet connection, so don’t bother trying to have one. This app also doesn’t support streaming and downloading songs from the web, so you can’t do that either. Just open this app, import your songs and start listening to them for free, no in-app purchases, no Ads, and well compatible with all Android devices. There are cool features that can make this app interesting for all Android users to use. Musicolet is a powerful lightweight music player with all the important features that it needs to function and then some. This app works perfectly well with earphones, and you can adjust the music from the earpiece. You can add shortcuts of the app to your Android’s home screen, and use cool widgets to be able to have easy access to the app, without going through the stress of searching for the app on your application limit. Now, you can also play music from your car, when you connect your Android device to the car and click to enable the Android Auto. This app is just 4.4MB in the installation size. click the link below and download this cool music player and my list of the Best Offline Music Players For Android will thank you. Pulsar Music Player is without a doubt one of the Best Offline Music Player For Android on my esteemed list of the Best Offline Music Player For Android, with quite a lot of Ads, but regardless, it has an amazing friendly user interface and gorgeous designs and colours that beats most Offline Music Players on google play store. Of all Best Offline Music Players For Android, every feature you might ever have a need for, Pulsar Music Player has it. If you allow me to talk about this music player, you’ll probably remain here today, but I’m just going to talk about some unique features that are present in this app. The pulsar music player has a playback feature, it has tag editing, crossfade, virtualizer, audio balance, equalizer and many more. With Pulsar as your offline music player app, when you don’t have an internet connection to stream a nice song, you play any song from your Android devices’ media library and even enable the care Bluetooth auto play system. Each song you listen to, you can take a look at the lyrics and sing along if you wish to. This app has millions of downloads and is just 4.1MB in the installation size. Now playing, via one of the best music player of all Best Offline Music Players For Android on the planet, the BlackPlayer. Top notch offline music player app with a lot of features. Basically, what attracts most of us to new music players is the new cool features they have, and even if they aren’t new, the fact that their user interface is different from the ones we have been used to makes it easy for us to switch to any new amazing offline music player we can find. Customize your themes, equalize your songs for the best audio production you prefer, use lyrics and also use widgets to easily access BlackPlayer and change songs or put a song on repeat. This app supports all mp3 audio format, with over 10 million downloads so far, this 11MB offline music player is entertaining. Are you ready for yet another amazing offline music player app, Mp3player has what you need, all the features a music player should basically have, and also it supports all mp3 audio format with one of the best stylish background designs ever. This app is totally free and you can export all your music files from your phone memory and play them all, through this Mp3player. Now I’m going to mention some of the features of this app so that you know what to expect from this app when you’re ready to download and use. Mp3player supports the use of the widget, playing your favourite song without opening the music app. If you might have created a folder and put all your songs into various folders, you can play songs from any folder you wish, without even creating a playlist. Unlike most music apps, this Mp3player has a feature that will enable you to set a sleep timer to stop the songs and stop the app at a specific time that you have set for it to do so. This app is 5MB in the installation size with over 10 million downloads. The pi music player is a well-developed music player on google play store, it’s not going to crash or stop working after some time, really durable and highly effective, easily customizable. With or without an internet connection this music player works wonders. This music player comes with its own equalizer, sleep timer, reverb effects, bass boost, virtualizer and can even be used to cut songs, especially if you want to use a particular song for a music video or your ringtone. This app also supports the podcast, audiobooks, widget, and Pi power share. You have default themes that you can switch to anytime you like. This app has been worked on to suit your taste, just 7MBin the installation size with over 10 million downloads so far. Pi music player is your number 1, friendly user interface music player, for your entertainment. Hey, how was the journey through my list of the Best Offline Music Players For Android, I hope you found a couple of music players that you like, trust me they are all amazingly outstanding, the best of the best. My list of offline music players is not just about music players that can be used without an internet connection, but it is also about music players that support streaming and downloading of songs via the music player ap and still save those streamed songs for offline use. So, I’m sure you must have noticed some music player apps on my list above didn’t support internet connection, well, I also had a few that did, so its up t you to make your choice. Thanks for stopping by, till next time, but for now, I got to go, so, see ya!